“I’m spiritual, not religious,” an excerpt from Has American Christianity Failed? American Christianity teaches the centrality of the individual—my will, my experiences, my decision, my heart, my work, and my dedication. Yet we couldn’t be more unaware that Christ and His saving and comforting work are being lost. In Has American Christianity Failed?, author Bryan Wolfmueller sounds the alarm against the false teaching and dangerous practices of Christianity in America. He offers a beautiful alternative: the sweet savor of the Gospel, which brings us to the real comfort, joy, peace, freedom, and sure hope of Christ. In the following excerpt from his book, Wolfmueller talks about the difference between gods who don’t talk and the God who does. “I’m spiritual, not religious.” This anti-creed of American culture is as close as it gets to a universal doctrine of our age. No doubt you’ve heard someone say it, or you’ve seen it on a bumper sticker. Everybody, apparently, wants to be spiritual, but no one wants to be religious. What is the difference? To be “spiritual, not religious” is to have a god that doesn’t talk. As soon as God opens His mouth, there is religion, doctrine, and assertions. As soon as God talks, there is truth, and the truth is always distinguished from error. The desire for spirituality without religion is the idolatrous longing of the sinful heart for a god that is mute. Conveniently for the spiritual-but-not-religious, if god is mute, then god doesn’t say anything about what is right or wrong. The mute god of the spiritual-but-not-religious is very supportive, but it never tells me anything I don’t know. It never tells me that something I am doing is wrong. It never tells me anything at all. The mute god makes no judgments, has no opinions, and its thoughts about right and wrong always match perfectly the judgments of the spiritual-but-not-religious person. The mute god will never interrupt my plans with its commands. The mute god is nice, and apparently this god is what you find at the end of every “spiritual” path, no matter what kind of path it is. The mute god’s chief concern is my happiness. The mute god has no commands, but neither does it have any promises. Spirituality without religion tries to free us from the Law and its condemnation, but in the end, it only mutes the Gospel. The Law cannot be silenced, but the Gospel can, and spirituality without religion silences the grace and kindness of God in Christ. It is impossible for sheep to hear a shepherd with no voice. Christians have a God who speaks. This is a fundamental Christian truth: God talks. In doing so, He not only gives us truth, but He also gives us life. God speaks, and there is light. God speaks, and there is life. God speaks, and the world is full of living things, and the world is good. God speaks, and sinners are forgiven. God speaks, and the dead are raised. God’s speaking is our hope and our life, our confidence and our comfort. Jesus says, “My sheep hear My voice, and I know them, and they follow Me” (John 10:27). There is a voice to be heard, a kind and forgiving voice. A voice that creates and re-creates. God speaks! The Bible is this speaking of God. “All Scripture is breathed out by God” (2 Timothy 3:16). 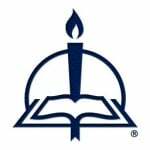 “Thus says the Lord” is the chief mark of the Scriptures, and it is what matters. The Bible alone is the fountain from which all saving truth flows. In the Scriptures, God tells us things we don’t know on our own, things we can’t know on our own, and things we must know. And more than this—He accomplishes things with His Word. The Word of the Lord sounded in the nothingness before creation and brought forth the cosmos and the life that fills it. The Word of the Lord continues to sound forth in the ears of sinners, and it brings forth life and salvation. American Christianity recognizes Scripture as the Word of God, but it fails to recognize the power and authority of God’s Word. In American Christianity, God’s Word teaches and informs, but it does not enliven or forgive. . . .
American Christianity fails when it looks for something to spice up the Scriptures and when it seeks something more exciting than God’s Word. The devil tempts us to be bored with the Scriptures, but we fight this temptation with the Scriptures themselves. The Bible is the antidote. God’s Word creates faith, and God’s Word creates delight and joy in His Word, in His Gospel. The blood of Jesus is spilled on every page of the Scriptures. This is the same blood that covers you and washes away your sins. And with this blood, your name is written in His Book of Life. Selected paragraphs from chapter 2 of Has American Christianity Failed?, pages 38–56 © 2016 by Bryan Wolfmueller. Published by Concordia Publishing House. All rights reserved. 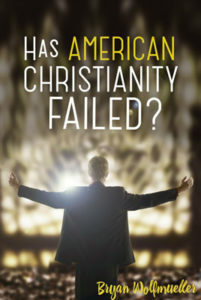 To order Has American Christianity Failed?, visit www.cph.org or contact CPH at 800-325-3040.